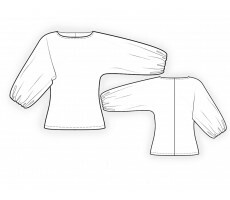 Lekala 4099 is a dolman sleeve jersey top with a gathered wide sleeve. 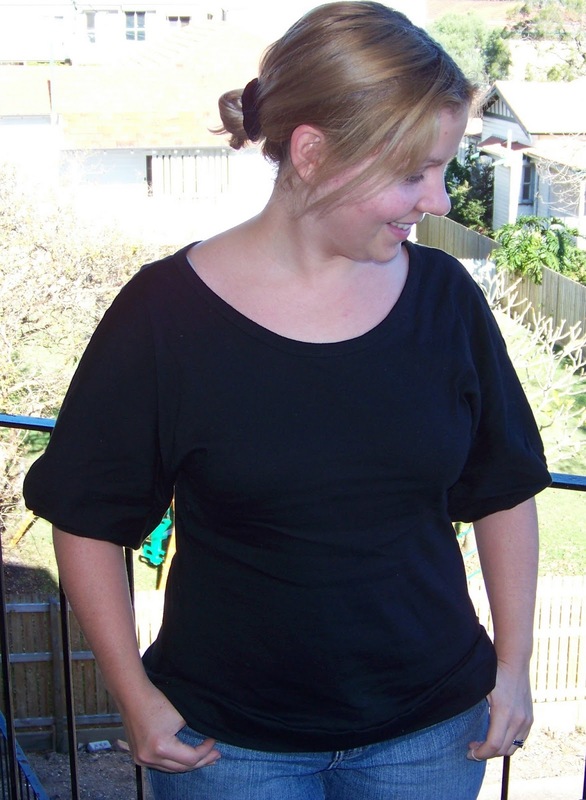 I had intended to use Cation Design's free Dolman Sleeve top and modify it, but I thought it might be a good way to try out Lekala. I had read some bad reviews, about their sizes being too small (no ease etc), so I was a bit weary. I used Spotlight's new brushed Jersey for that (yes, I know it was not in my stash), but I really wanted a black top and there was nothing in my stash. I lowered the neckline a bit and shortened the sleeves, but looking at the pictures now, I didn't actually need to shorten the sleeves as they ride up a bit. This might well be the white sponge of cake sewing. It is perhaps the most useful thing I have sewn so far (except for the sleep masks that we use daily). 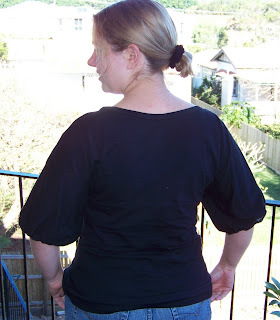 It's not as fitted as some of my other tops, which probably means I wear them too tight usually. However, Jersey and I am going to become best friends in the next few months, because I have started to exercise in the lost month of April. I can see some results already and I don't really want to go through the pain of fitting things that don't fit right a few months later. Overall, I was really happy with the pattern and the fit. I didn't need any instructions really and I imagine I will make many more tops from this pattern. I'm really pleased you've enjoyed the Greek recipes on my food blog. Give me a bell if you have any specific Greek recipes in mind. I have Tess Mallos's book and a local Greek recipe book that one of the Greek churches put together a couple of years ago. So I'm not saying I have every Greek recipe every made but I think I have enough that I'm always willing to pass on. Glad you now have a black top in your collection too. This is a lovely take on the practical black top. It looks very feminine, much nicer than the average t.
Hi Giggles - just found your blog - I was having a chuckle about your maiden name being Garden - mine was Plant!